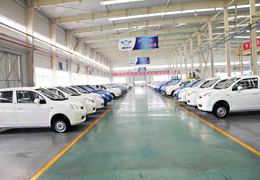 Shandong Tangjun Ouling Automobile Manufacture Co., Ltd. is located in Zibo City, Shandong Province. Founded in 1956, it has been designated as an automobile production enterprise by the central government. It produced light vehicles at the earliest time in our country. We have 3000 staff members, including 300 professionals and technicians. Our factory covers an area of 600,000 m2,including a construction area of 230,000 m2. We have more than 20 automobile production lines of stamping, welding, painting, assembly and testing and so on, all of which use computer control, mechanized transmission, ranking first in the domestic commercial vehicle industry, and we have an annual production capacity of 100000 cars currently. 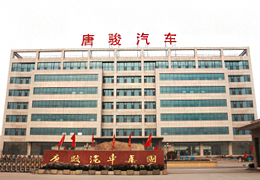 Our company passed the certification of ISO9000 quality management system, ISO10012 measurement management system, ISO14000 environmental management system and OHSAS18000 occupational health and safety management system and the standardization certification of good conduct business; all our automotive products have passed the national CCC certification. We are identified as an enterprise technology center and a high-tech enterprise at the provincial level. In cooperation with automotive research and design institutions, we have established a long-term cooperative relationship and collected better suppliers of the automotive industry to form a stable supporting system for the procurement of quality parts and materials. 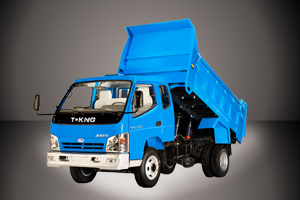 Our products, including mini-truck, light-truck, medium vehicle and tipper, always take the lead among similar products in China. We have more than 400 domestic sales outlets and 600 maintenance and service stations, with our sales networks distributed throughout China. We export products to more than a dozen countries and regions in Southeast Asia, Central and South America, Africa, the Middle East and Eastern Europe. In recent years, by orienting our company to the market, carrying out talent strategies and fine management, optimizing resources, and launching innovative technology, we have considerably enhanced our comprehensive strength at the forefront of the domestic industry. We are designated as the most competitive light-truck brand. We determinedly stick to the purpose of "produce better cars for more customers", and make due contribution to the international auto industry. 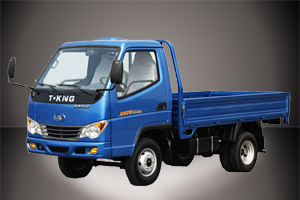 T-KING Light Truck (Diesel Engine) is export-oriented. There is a strict rule and control over its raw-material purchase, production and quality inspection. Thanks to the concerted efforts of all employees, our light-truck series has been sold to more than 20 countries and regions worldwide. 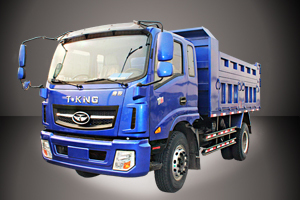 T-KING Gasoline Light Truck Series (engine model 480-4100) has single, double and king gasoline and diesel models and satisfactory prices. All truck models are new. 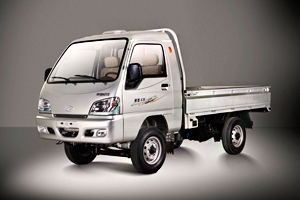 Our gasoline-powered light trucks can be converted into double fuel trucks (CNG) or even van-type trucks at the customers' discretion.